San Diego Medical Group (San Diego) - Book Appointment Online! 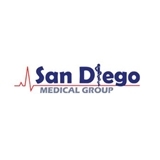 San Diego Medical Group is committed to providing you with the highest quality medical care. Together with our team of nurses, therapists, other health care professionals and support staff, we are dedicated to delivering a comprehensive range of diagnostic and treatment services in a compassionate and comfortable environment.